This week we’re discussing advances in laparoscopy and robotic surgery, prostate, kidney, and bladder cancer, as well as kidney stones with Dr. Warren Todd Oberle. 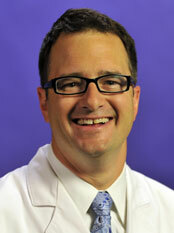 Dr. Oberle is a board certified urologist who specializes in advanced laparoscopy and robotic surgery. He was the first surgeon on the east coast to use Single Incision Laparoscopic Surgery or “scarless surgery” to remove a kidney through the belly button in 2008. He uses his skills in Robotics and minimally invasive surgery to treat Prostate, Kidney and Bladder cancer as well as benign diseases such as kidney stones, vaginal prolapse and ureteral obstruction. His primary focus is on Urologic Oncology, with particular interest in the diagnosis and treatment of Prostate, Kidney and Bladder cancer. He works closely with Primary Care Physicians, Oncologists and Radiation Oncologists to offer treatment tailored to individual patients and their disease.